So what coaches are better and available? If you are going to make comments like that name who's better. Mid-season? Not many of course, but obviously there have been a lot of good coaches available during his tenure. Try and get Jim Harbaugh back in the NFL if nothing else. Jim Harbaugh is your suggestion? Dear lord. Jim Harbaugh is a narcissistic egomaniac control freak. There's a reason he flamed out of the NFL. Ditto for Chip Kelly, Nick Saban, and 99% of college coaches that make their way into the NFL. He hasn't won squat, and will never win squat at any level because his self image is more important than actual winning. 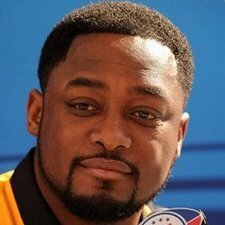 Andy Reid (arguably), Bill Bellichick, and Sean McVay are IMO the only coaches that are on Mike Tomlin's level currently in the NFL. At one point Payton and McCarthy were there, maybe they still are, their teams aren't however. But those guys round out your Top 6 imo. Mike Tomlin, even if you consider him the worst of those 6 is in pretty damn good company and fyi, Reid is the worst of the 6 imo. How many coaches are out there that are better than Tomlin? There's at least 25 that aren't better, put it that way. Ben and Tomlin are T-3 for most wins as a coach/QB combo. IIRC only Brady/BB, Peyton/Brees, Bradshaw/Noll are ahead, and the Brees/Peyton are tied with them. All of whom either are or will be in the HOF. Pretty good company, I think. Many of my friend who watch a lot of college football consider Harbaugh to be maybe the 5th or 6th best coach in the big 10. Great recruiter. Not much of a football coach. Thats how I feel about him. Dont get me wrong he is intelligent, but he is not a grear schemer and coaches with more emotion than method. I think the biggest issue in college football is that recruiting is the biggest thing, and actual coaching talent is far less significant. That's why Nick Saban is the god of the football college world. He's a shyster who when given absolute power and one of the top college football markets behind him, he's very good. But he couldn't hack it in Miami. Harbaugh is a better pro coach. I think the results before and after him are pretty strong evidence of that. There aren't many people harder on Tomlin than I am, and I can say that he has never lost his team. There have been weeks where they aren't on the same page, but he's never lost his team. That is a real gift. His teams do not quit. I still think the right coach could create a spark, even if only temporarily. That is what I'd hope for if I was hoping for a change. I don't buy that Sean McVay is the next Bill Walsh. I don't buy that Pederson is whatever he's supposed to be. But being a good coach doesn't mean you should have your job until they die or decide to retire. Sometimes, a new coach just provides a spark the last one couldn't.